S02 Episode 5 - Longtime member and firefighter Aaron exemplifies "progress, not perfection." Longtime member and firefighter Aaron joins Lindsay to talk about his successes and struggles transitioning to a plant-based diet. Aaron has managed to lose weight, improve his cholesterol and blood pressure, and become more active while eating the meal plans! 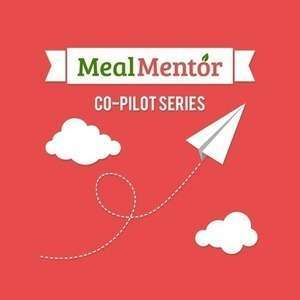 Lindsay and Aaron discuss different transition approaches, personal responsibility, and share a wealth of plant-based resources on this episode of the Meal Mentor Podcast! Aaron explains how he stays plant-based at the firehouse. How can you make the meal plans fit into a busy schedule? How can we think differently about the dreaded protein question? Tips for living by the mantra, "progress, not perfection." Aaron gives his top two tips for getting started running. Aaron shares how the member forums help him stay focused. Watch Lindsay batch cook 6 meals in 27 minutes!